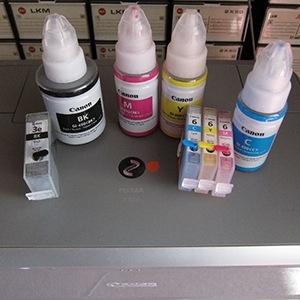 Discussion in 'Canon InkJet Printers' started by Naheed, Apr 15, 2019. The videos are most likely correct, but notice you cannot disable ink level monitoring when ink levels are low. You can disable ink level monitoring when you get the error message that the ink has run out. See this post about the same cartridges except for Europe in stead of North America.